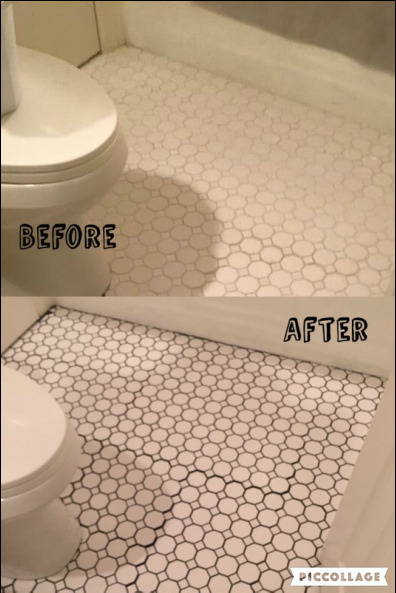 Upstate SC pro tile cleaning & sealing & carpet cleaning services. 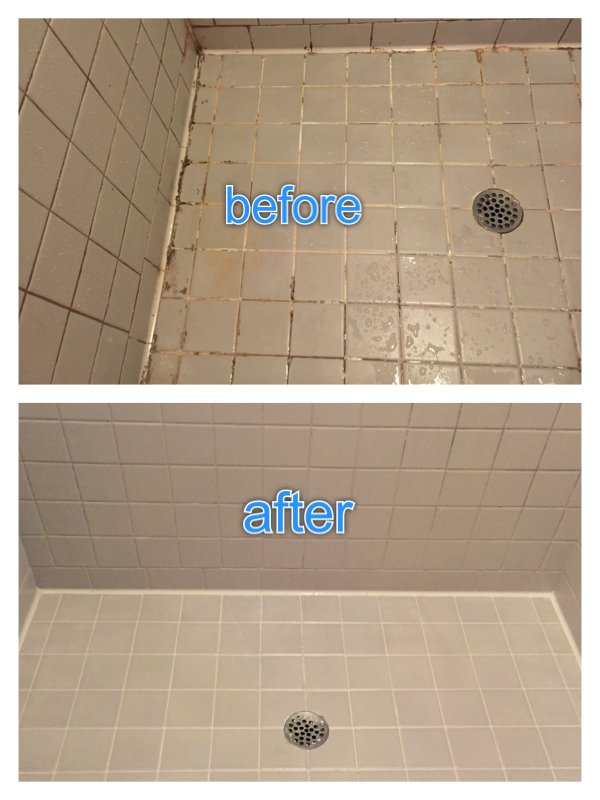 Tile & grout restoration, including alkaline emulsification extraction cleaning, with agitation as needed. It may include grout repair if needed. Sealing, including grout sealing and natural stone sealing. Most man-made tiles are made of porcelain and thus are not absorbent, making sealing unnecessary. Sometimes people want a sealer/finish on unglazed porcelain tile, which we can apply. Color Sealing, a far superior sealer that lasts 15 years and colors over stained grout for a uniform look throughout the floor. Applied by hand with a toothbrush. Shower Restoration has been a forte of ours and the photos show what a dramatic difference our work can make. This is an ideal solution to your nasty shower problem, especially if you don't want the cost and hassle of a tear-out and rebuild. ​Greenville Tile Cleaning has been cleaning concrete since we started doing business in 2011. Our process involves picking up the soil and removing it, even outdoors, as opposed to spraying and spraying and spraying the city reservoir dry. 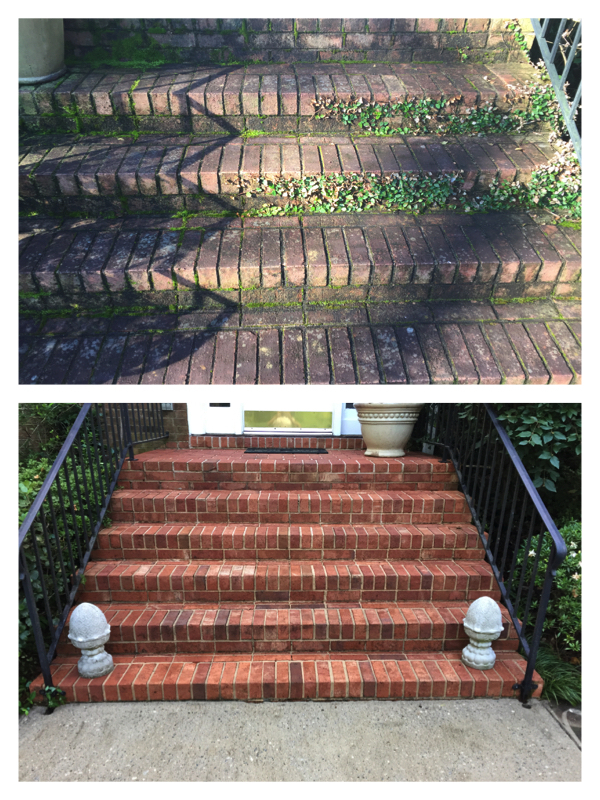 If you have a home, then you probably have brick steps at your front door. We're not completely sure, but we'll just call it a hunch. Years of dirty shoes tracking dirt to the front door is just the start to your soil load. Weather plays a larger part in soiling your brick and mortar. Moss grows and eventually takes over, and before you know it, you have cracks and separated brick from moisture retention. Keeping brick clean is key to protecting its integrity! Alas, we have come to carpet cleaning! This service, as you may have guessed, is a tad divergent from our other services. After all, it isn't rigid. Did you know that carpet is one vast filter? We treat carpet how carpet wants to be treated. The water we use is not too hot (that can shrink the carpet just like your laundry), and not too cool, but just right! Maybe we should call it the Goldilocks treatment. Anyhow, we will cover our carpet service in greater detail here.